specifications. Bend the rod while it’s still hot. that the cockroaches are uneasy is cold comfort. The tide knows I’m innocent, but it doesn’t care. a verse. Oh new season, help me sleep less badly. remover and jumped over a series of candlesticks. a tray of nightcrawlers in your smile. tersely shreds documents relating to our origin. William Merricle lives in Lima, Ohio. 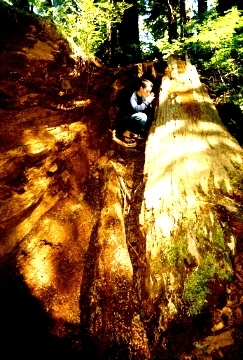 His poetry has been published in Pudding, Slipstream, ZeroCity, and many other publications. His chapbooks include Heimlich The Donut [Pudding House], Grace, You Let the Screen Door Slam [Crisis Chronicles] and, most recently, Chaos Theory [NightBallet]. we ought to slow down. we ought to turn and run. Tears fall into spilled milk. Redemption policy available upon request. in a state of joy. heading home to a wall. Romance is a corporate entity too big to fail. and lost my love again. that would stick to the ribs. but not quite reach it. when I ask for extra ketchup. Whole of what we saw. That tore into our skin and face for days. All seemed careful to our eyes. Could not undo or yet explain. And looked to protect secrets. To reckon their distances and plains. Back to our stories and our now frozen lips. That each one would tell us who we were. D.R. 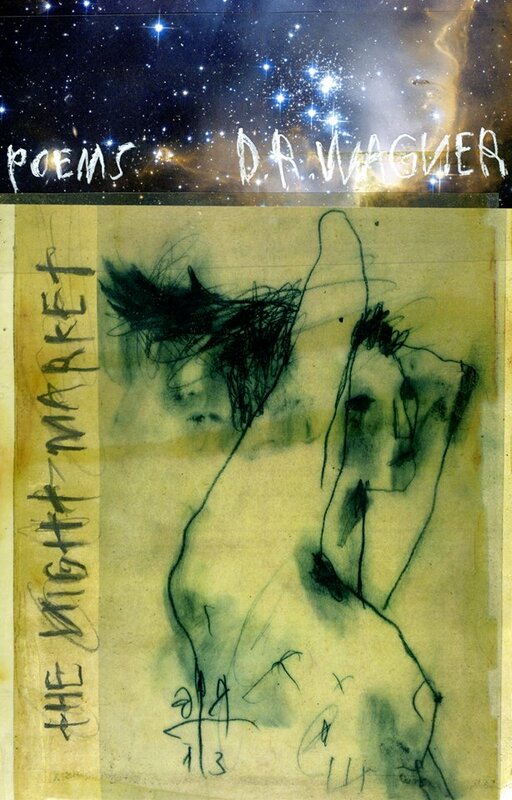 Wagner is the author of over twenty books and chapbooks of poetry and letters. He founded press : today : niagara in Niagara Falls, New York, in 1965 and later Runcible Spoon (press) in the late 1960’s and produced over fifty magazines and chapbooks. 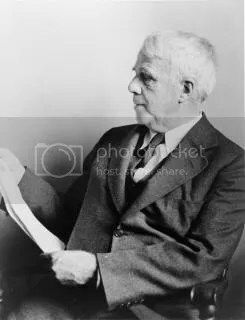 He co-wrote The Egyptian Stroboscope with d.a. levy in the late 1960’s. He read with Jim Morrison of the Doors in a legendary reading with Morrison and Michael McClure. and has read with Lawrence Ferlinghetti, Al Winans, Viola Weinberg, d.a. levy, E.R. Baxter III, Ed Sanders, Anne Waldman and many, many other poets over the past 40 years. His work is much published and has appeared in numerous translations. He has exhibited visual poetry with the likes of William Burroughs, Byron Gysin, Ian Hamilton Finlay, bpNichol, bill bissett, J.F. Bory and John Furnival in venues ranging from The Musée des Arts Décoratifs, Paris, at the Louvre to the Smithsonian in Washington, DC. He is also a visual artist, producing miniature needle-made tapestries that have been exhibited internationally and are included in numerous publications and museum collections. He is, further, a professional musician, working as a singer-songwriter and playing guitar and keyboards. Teaching Design at the University of California at Davis since 1988, he also teaches in the Honors program at the University conducting classes in Poetry by Design. He continues to design interior carpeting and tapestry as well as write, perform and publish poetry regularly. He currently lives in Locke, California. Death did not notice me. what I broke out of. j/j hastain is a queer, mystic, seer, singer, photographer, lover, priest/ess, and writer. 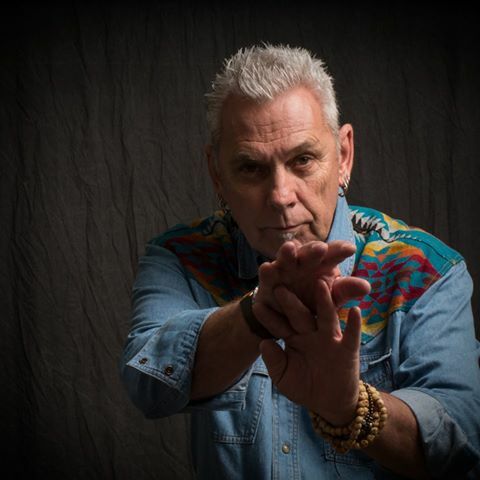 As artist and activist of the audible, j/j is the author of several cross-genre books and enjoys ceremonial performances in an ongoing project regarding gender, shamanism, eros and embodiments. That project is called: you make yourself your own tilted stage. j/j is the author of several cross-genre books including the trans-genre book libertine monk (Scrambler Press), anti-memoir a vigorous (Black Coffee Press/ Eight Ball Press), Secret Letters (Crisis Chronicles Press) and The Xyr Trilogy: a Metaphysical Romance. j/j’s writing has most recently appeared in Caketrain, Trickhouse, The Collagist, Housefire, Bombay Gin, Aufgabe and Tarpaulin Sky. j/j has been a guest lecturer at Naropa University, University of Colorado and University of Denver. Juliet Cook is a grotesque glitter witch medusa hybrid brimming with black, grey, silver and purple explosions. Her poetry has appeared in a peculiar multitude of literary publications, most recently including Arsenic Lobster, Menacing Hedge, Mojave River Review, and Tarpaulin Sky. She is the author of more than thirteen published poetry chapbooks, most recently including FONDANT PIG ANGST (Slash Pine Press), Tongue Like a Stinger (Wheelhouse), POST-STROKE (Blood Pudding Press for Dusie Kollektiv 5), Thirteen Designer Vaginas (Hyacinth Girl Press), POISONOUS BEAUTYSKULL LOLLIPOP (Grey Book Press) and RED DEMOLITION (Shirt Pocket Press). A new collaborative poetry chapbook created by Juliet Cook and Robert Cole, MUTANT NEURON CODEX SWARM, is forthcoming from Hyacinth Girl Press in 2014. Juliet’s first full-length poetry book, Horrific Confection, was published by BlazeVOX. In addition to her own writing, Juliet is the editor/publisher of Blood Pudding Press (print) and Thirteen Myna Birds (online). You can find out more at www.JulietCook.weebly.com. Christian O’Keeffe reads his poem “Concrete Dandelion” on November 22nd, 2011 in the Wick Poetry Corner of the Kent State University library. Some of Christian’s influences included the river, Jim Carroll, Maj Ragain, Jack Micheline, Bob Kaufman, moths, deer, blue heron, Kurt Cobain, Arthur Rimbaud, and that ecstatic act of walking. Christian died on 27 May 2012 at age 20. In 2014, his chapbook Irises Made of Moth Wings was published by Crisis Chronicles Press. wasn’t junk food and my Peeps were. 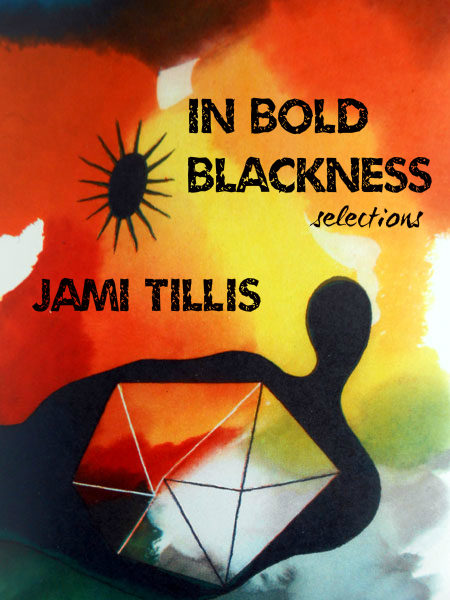 “This Is Gonna Hurt Me” by Jami Tillis comes from her 2014 chapbook In Bold Blackness: Selections published by Crisis Chronicles Press. Jami Tillis is 24 years old. She graduated from Northeastern Illinois University in May 2012. Her field of study is Secondary Education with a concentration in English and history. In college, she belonged to a variety of groups—Sigma Gamma Rho Sorority Inc., Sigma Tau Delta English Honors Society, and Pi Alpha Theta History Honors Society. 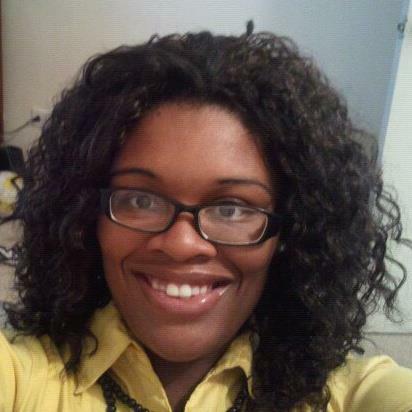 Jami lives in Chicago and works as a 5th and 6th grade reading and writing teacher in Chicago Public Schools.